This image was designed by Clayton Benge. Feel free to use it for posters, flyers, or other materials related to the March For Our Lives event. 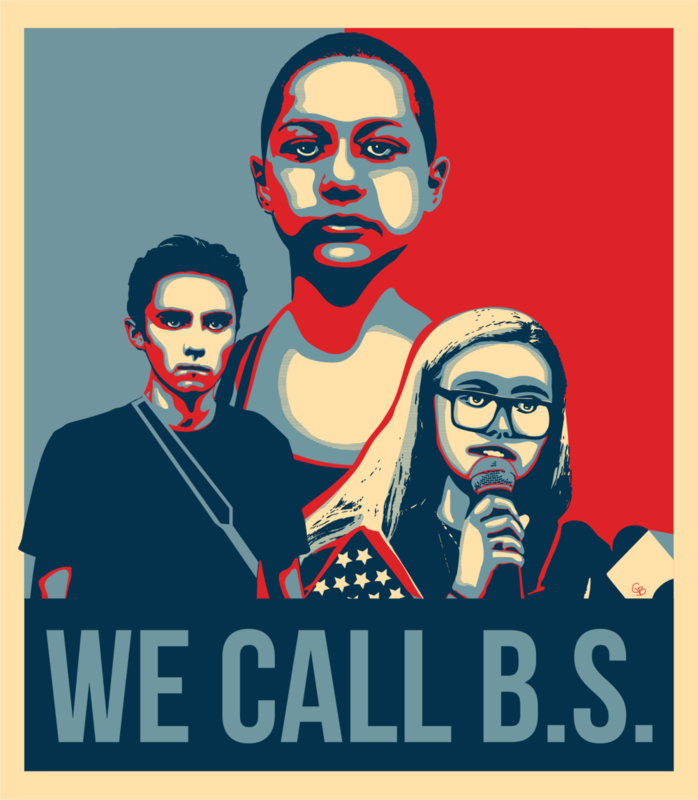 We Call BS by Clayton Benge is licensed under a Creative Commons Attribution-NonCommercial-NoDerivatives 4.0 International License. Based on a work at https://www.behance.net/Claytonvon.